I'm using a softer palette here with the colors greyed down a bit. The idea is to make a simple composition using trees to move the reds into the blues and it takes hundreds of brushstrokes and many strategic moves to make it happen. Since the color is modulated down, a bit of purer reds and blues really sing against the background. The oil is continually in need if one is paying attention, so this simple composition became a lengthy dialog. 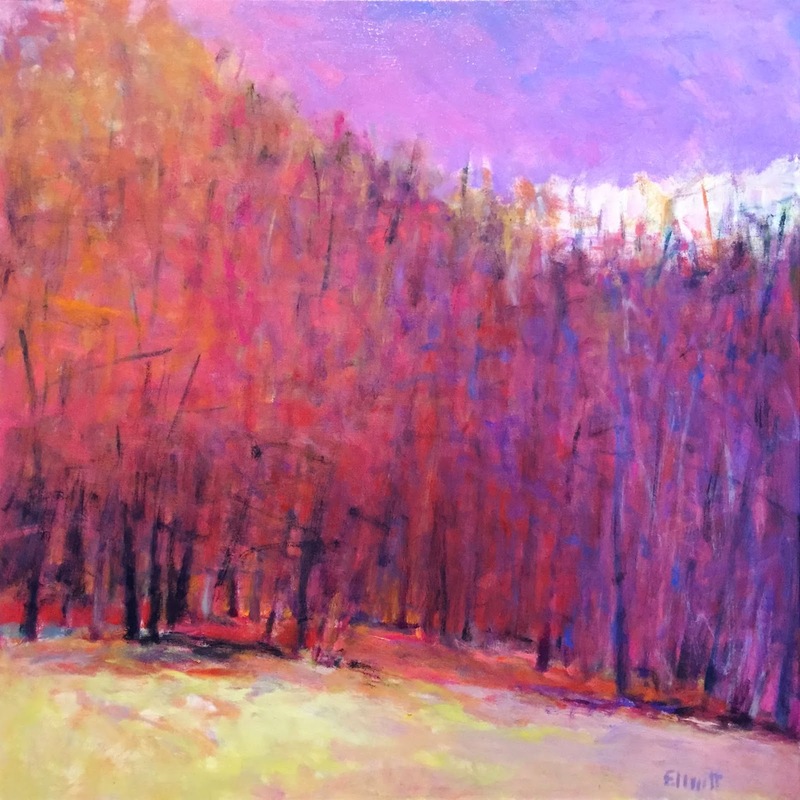 This finished work is an abstracted row of trees with the colors and darks at the edge of being too much. There is a power and calm in holding that line successfully, making the art more compelling.